Make the most of seasonal produce and warming spices with these light and fluffy pumpkin pancakes – not only are they vegan and gluten free, they’re also low on sugar and feature the bright orange superfood that’s packed with fibre, vitamin A and antioxidants. Plus, they’re easy to make, requiring just 20 minutes, one bowl, and no fancy ingredients – just pantry staples like apple cider vinegar, almond milk, spices and maple syrup. Combine milk and vinegar in a large bowl and set aside for five minutes to curdle. Add pumpkin, butter, vanilla and sugar, and whisk to combine. Sift together flour, salt and spices and add to wet ingredients. If the batter appears too thin, add a bit more flour. If too thick, add a splash of milk. Let rest for 5-10 minutes. Melt butter or coconut oil in a pan and cook ¼ cup measurements of the batter on medium-high heat. Flip when bubbles appear and cook for a further 1-3 minutes on the other side. 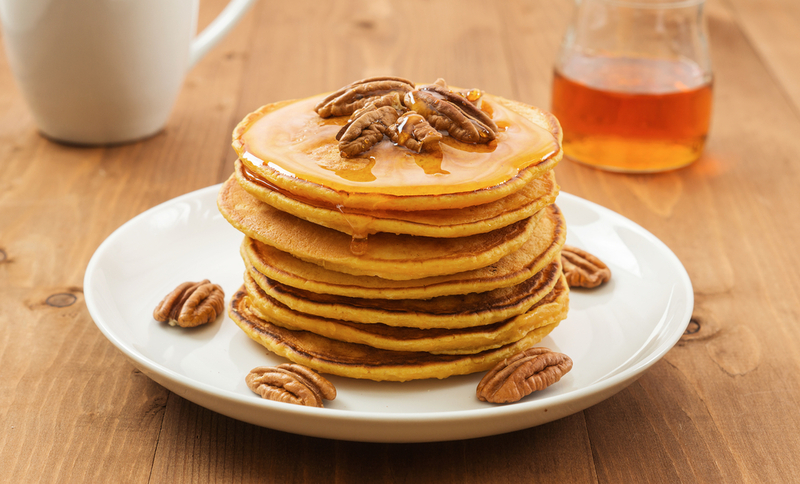 Serve with butter or coconut oil, maple syrup and pecans. *To make candied pecans, combine 2 Tbsp coconut sugar, 2 Tbsp water and a pinch of salt. Toast 1 cup of pecan nuts in a pan on medium heat for 2-3 minutes. Add sugar water to nuts and stir until thoroughly coated. Spread on a piece of parchment paper to cool. 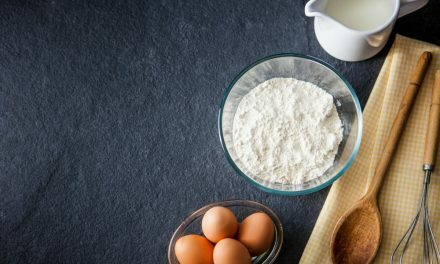 CAN I USE ALMOND FLOUR OR COCONUT FLOUR IN THIS RECIPE AS I FOLLOW A LCHF EATING PLAN AND DON’T EAT WHEAT OR RICE.